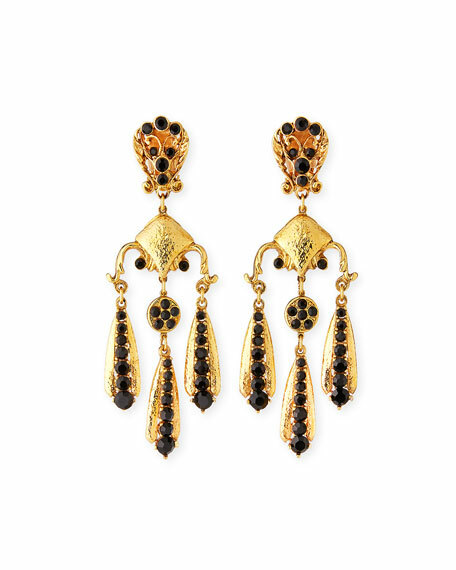 Jose & Maria Barrera triple-drop earrings. Round jet black Austrian crystals. For in-store inquiries, use sku #2333006.